Being a dinosaur is pretty cool, despite a sudden craving for vegetables. Except some of the kids at school aren't too thrilled with his spikey tail - even if he covers them with tennis balls. 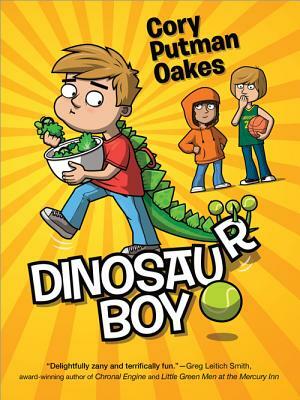 Sawyer is relieved when a couple of the bullies mysteriously stop coming to school, until he discovers a secret more shocking than Dino DNA The disappearing kids are in for a galactically horrible fate...and only Sawyer, with the help of his friends Elliot and Sylvia, can rescue them. And don't miss the thrilling sequel Dinosaur Boy Saves Mars -- coming February 2016.